Bio trее Company offers to your attention a new product – rootstocks for fruit trees (cherries, plums, pears, apricots, peaches etc.). CAB 6P is a clonal rootstock, selected from Prunus cerasus (cv ‘Marasca di Vigo’). It is suitable for most of the cherry cultivars and all of sour cherries. 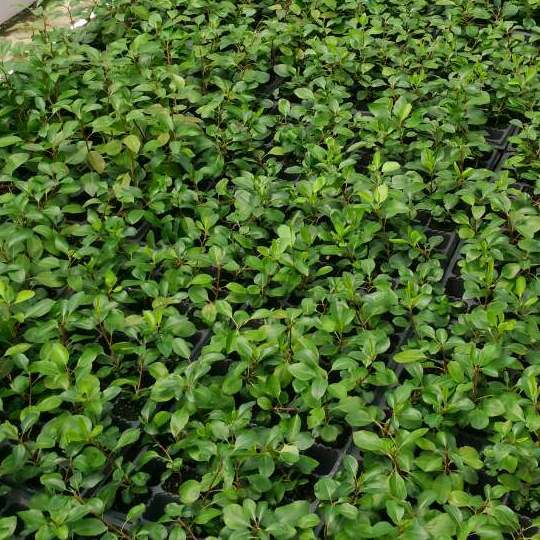 It is extremely adaptive after grafting with fast growth in the nursery. It develops average vigorous trees with about 30% smaller in comparison to seed rootstocks. The root system is well developed but often produces shoots. The rootstock is adaptive to heavy soils and is resistant to lime soils. Resistant to nematodes, tolerant to Phytophtora cactorum, Verticillium dahlia and slightly sensitive to Agrobacterium tumefaciens. The gardens based on CAB 6P rootstock usualy have density of 500-800 trees per ha. Myrobolan 29C is one of the main rootstocks used for plums and most of the apricot cultivars in Bulgaria. It is a clonal rootstock selected from the Prunus cerasifera with excellent adaptability with almost any root suckers produced. The Rootstock is suitable for most of the main soil types. It also adapts to dry or heavy with minor drainage soils. It is also applicable to exhausted soil. 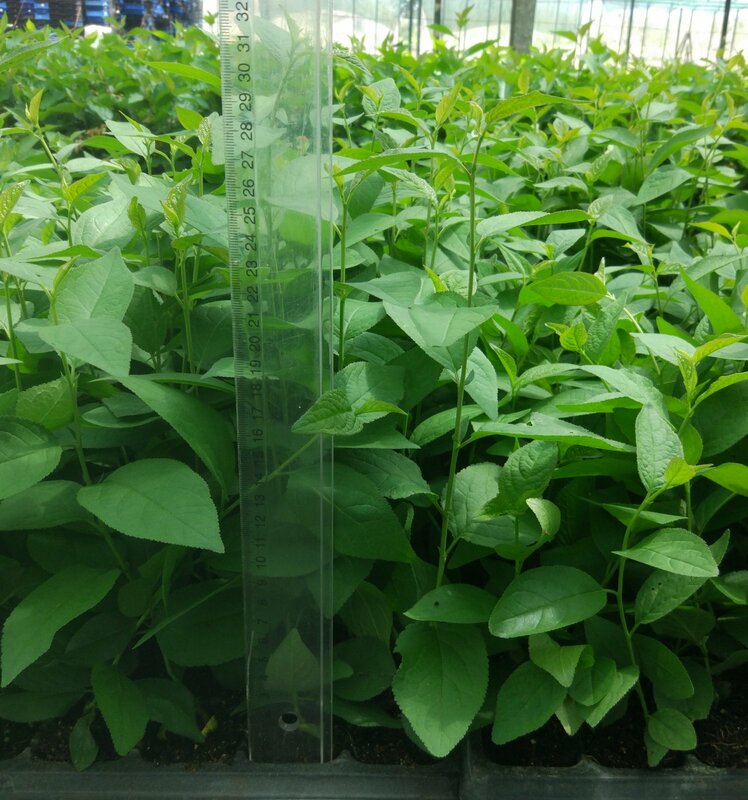 In comparison to the seed based rootstocks the M29C forms trees with 15-20% smaller. The grafted cultivars also deliver high yields. The rootstock is resistant to nematodes from (Meloidogyne spp.) and it has average resistance to Agrobacterium tumefacens, Verticillium and Leptonecrosis. GF 655 is a clonal rootstock from a Prunus insititia with large application when grafting plums, peaches and apricots. The rootstock possesses average growth and the trees it forms are similar to apple trees on rootstock MM106 and does not develop suckers. When the tree garden is placed on good soils with extensive sun shining and sufficient irrigation the rootstock develop larger trees. It is a high productive rootstock. When used for plums the trees enter in production 3-4 years after grafting. The trees are self-supporting and do not need additional construction. The GF655 is suitable to be used on many types of soils and also tolerates lime soils. The rootstock also develops well on soils without sufficient drainage. It is tolerant to Plum pox virus. OHF BT is a clonal rootstock for pear that is compatible to all of the pear cultivars available on the market. 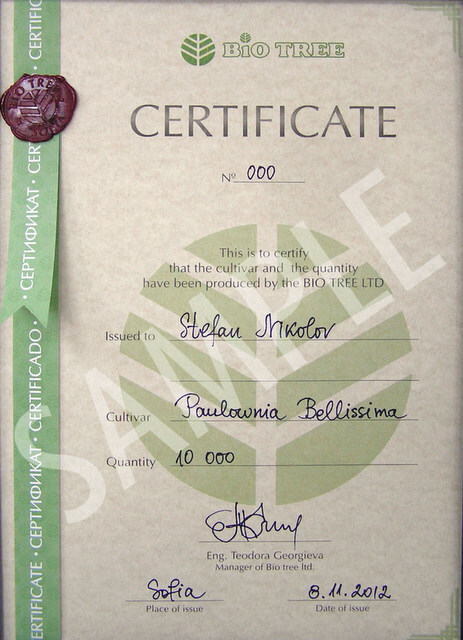 The rootstock is selected in Bio tree. It develops deep, strong root system and does not form shoots. It is resistant to heavy and lime soils. 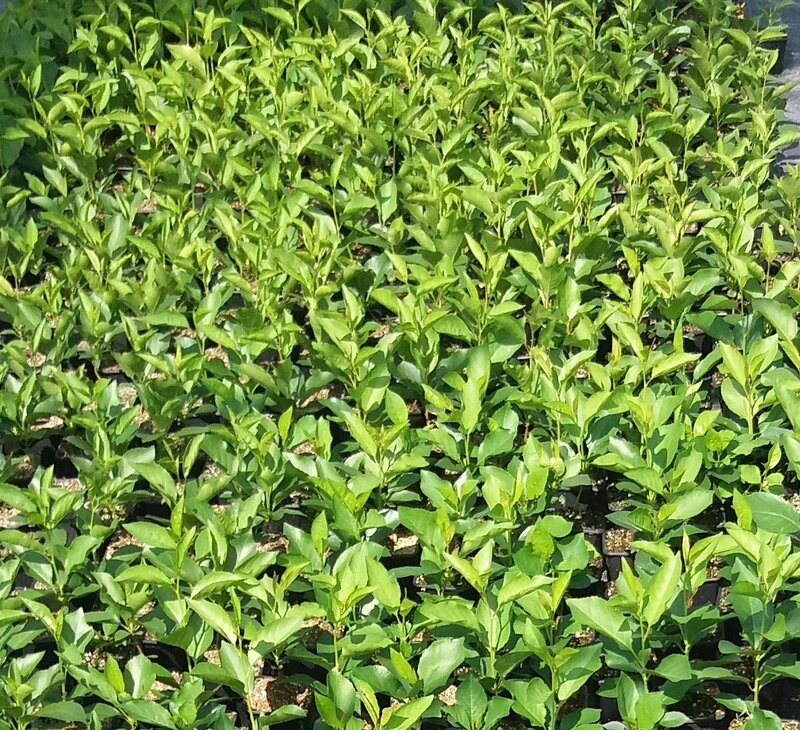 The rootstock is extremely cold resistant and develops small to mid-sized trees (from 1/3 to 2/3 of the standard trees grown on seed rootstocks). It is recommended for autumn planting in the nursery. The sufficient fertilizers and irrigation should be applied In order to ensure optimal growth. OHF BT is resistant to fire blight (Erwinia amylovora), nematodes and Phytophtora cactorum.